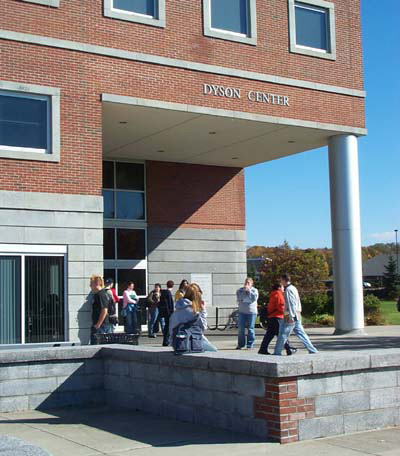 Dyson Center- Recent Marist student and “that kid who always left halfway through night class” Don Cristian received dreadful news yesterday after a two year battle with the Marist Criminal Justice Department – he was flunking all of his classes and would be forced to permanently end his quest for a Bachelor’s degree in Criminal Justice. For most Criminal Justice students, the copious and unnecessary debt is completely worth it for four years of drinking and the assurance that you’ll definitely get you a job where you can carry a pistol legally. But for Cristian, it just wasn’t worth it. Cristian says his high hopes of becoming the next Jason Bourne motivated him to work as hard as he did, but he had to be realistic in his ambitions. With a twinkle of hope in his eye, he told reporters that he will probably just sign up for the city test next week and go to the academy in the fall. ← Local Bouncer Has the Audacity to Do His Job and Deny a Fake I.D.